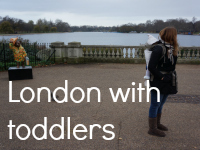 One of my favourite features on my blog has to be the "Toddler OOTD" series. I started it pretty much as soon as I started my blog and have kept it up throughout the year. I love that through looking at these posts I can see her change from a little babyish toddler into a proper little independent madam. 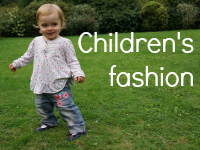 It has also been fun to write a bit more about my passion for fashion through a children's clothing lense. 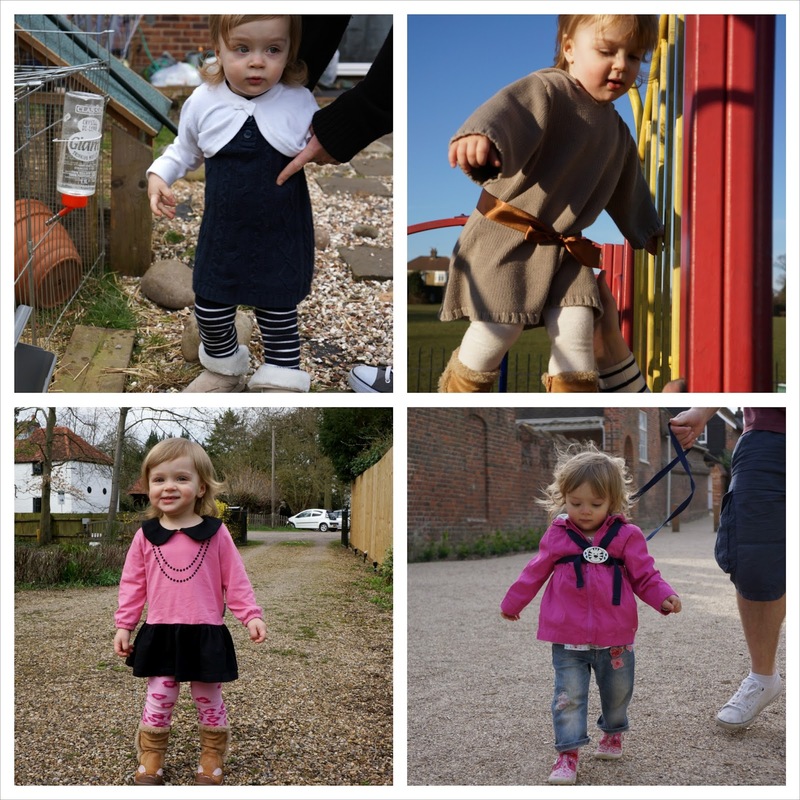 I have shared stories about her development, about my fashion choices (for her), about clothing in general, about what we have been up to, and about our lives - and of course lots of cute outfit pictures alongside my musings. 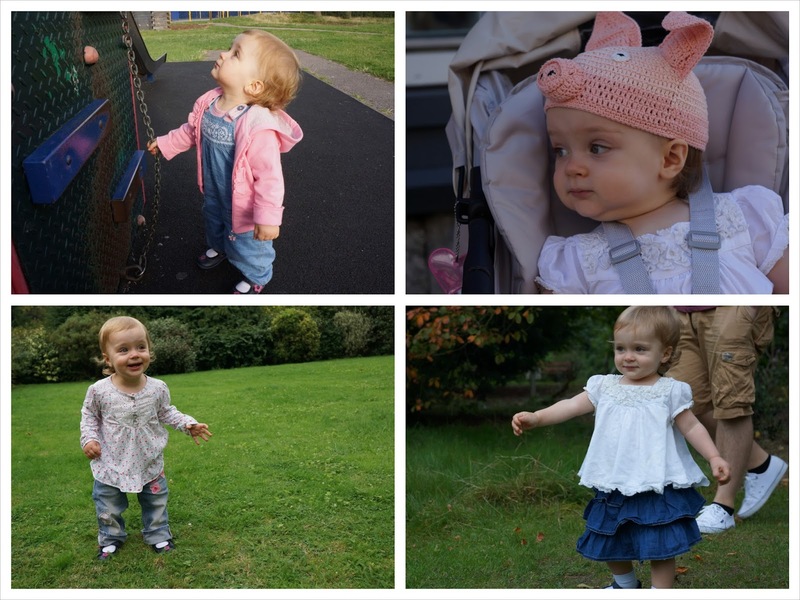 I started my Baby OOTD series in August 2014. The very first outfit picture post I took of her she was wearing the cutest little dungarees and I bemoaned how difficult it was to take pictures of her. Oh, if I had know how much more difficult it would get the older she gets... This gorgeous hand-made crocheted piggy hat has gotten us numerous compliments over the year and people always ask where they could get a similar one. Answer - on an obscure little market place in a foreign country... I've also loved the second hand steals I have found her abroad. My husband has mucked in as well, firstly buying her clothes and styling our daughter and secondly by providing me with pictures of her outfits chosen by him while I am at work. This denim ra-ra-skirt is a firm favourite for both of us. Sometimes I do wonder about how practical are the clothes she wears - answer, not always very! In autumn time we visited a farm during the national Apple Day, and she wore the most adorable bunny dungarees from Next. For Halloween we had three options to choose from - a Halloween bat, a kitty and Luke Skywalker. I shared my older pre-blog Instagram outfit snaps and a gloriously huge furry pom-pom hat my mum got her. I do like quite unique children's fashion, so one of my top finds was a baby kimono from Spitalfields Market. For Christmas I got her a Polarn O Pyret snowflake cardigan. 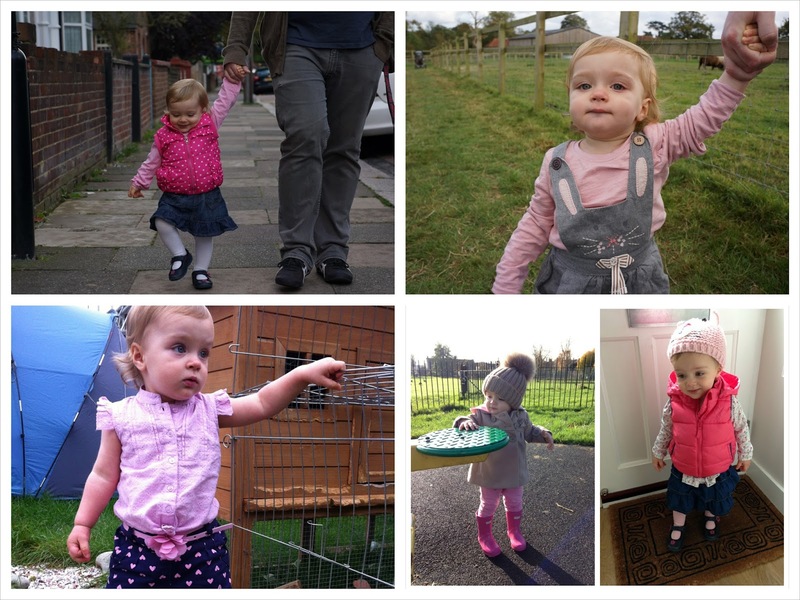 The very last Baby OOTD post was in December 2014 - it was starting to feel silly calling her a baby when she really was a big girl, a proper toddler. She was wearing her bunny boots from Clarks and a knitted dress from John Rocha and looked so "big girl"-like I decided we would now be entering Toddler OOTD series. At the beginning of this year she was starting to show what a big girl she was becoming, and started to insist on wearing particular items of her own choosing, like shoes and hats. 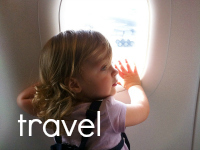 I shared my pictures of her snowsuits here (we spend a lot of time in cold countries over winter! ), and our love for all shades of pink. We are raising a little Pink Lady over here... 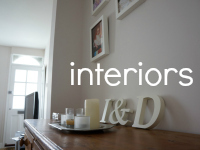 I have made some fabulous eBay finds over the year, like a White Company woollen dress, and another one by Bonpoint I found very difficult to style. Not all outfits were a success and sometimes I felt like I dressed her in the dark... Springtime was brought out all the colours again and she has her little pink statement jacket. This summer I shared pictures of her in a little denim dungaree at out new house, and wrote about how much I love Scandinavian fashion and Marimekko. 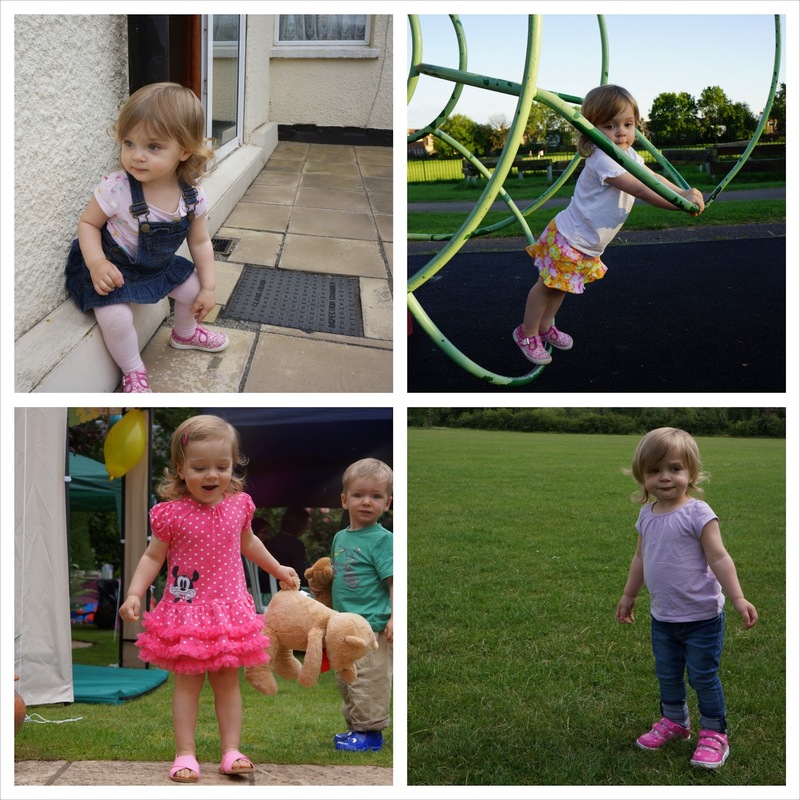 There were pictures of her at a teddy bear picnic in a Minnie Mouse dress (which by the way is her favourite dress that she has been wearing last two weeks nearly everyday...) and her first "review" of her in her new pink sparkly trainers by ShoeZone. I have long been talking about what a big girl she is becoming, and how she loves selecting her own clothes now. Especially shoes... And a cute little strawberry print dress she wore at a sandpit. There have been two pieces pieces of clothing she has had that have been really quite special. There was that shirt of mine (about 30 years old!) she wore, and the dress I made her in school when I was just 14 years old. These hold special significance to me - it is lovely to have something that special and unique for her, something from my past to hand over to her, and hopefully to her daughters. 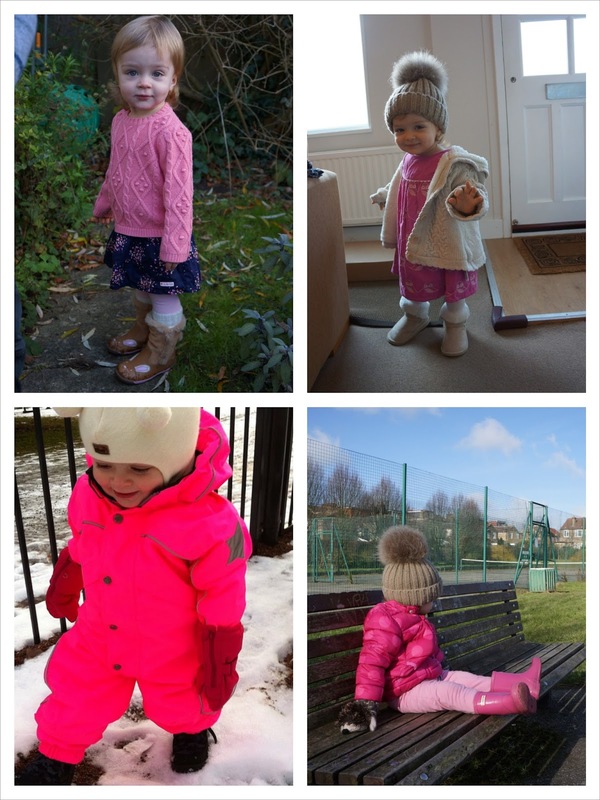 So that was our year of outfit pictures... A lot isn't it, but at the same time it is lovely to look back and see how much she has grown over the year. From a baby-toddler to a big girl. 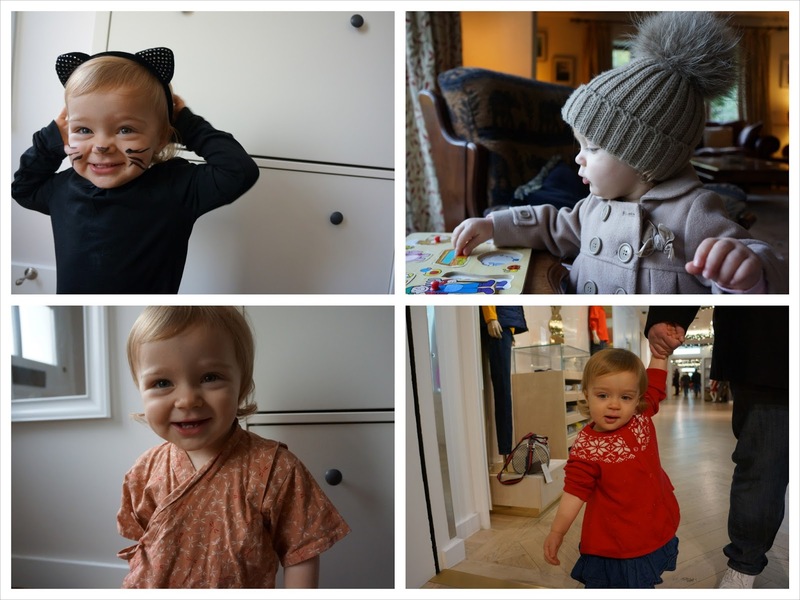 It is lovely to see her changing :) my favourite part of this blog series! A true style icon! That pompom hat is just too adorable! The dress that you made her is incredible! I would love love love to dress my girls in something so sentimental and well crafted! Thank you! The cat was a cute one - we still have those cat ears somewhere but will probably try to do a new outfit for this year Halloween - not sure what yet! What a sweet round up! It is nice to watch them grow like this! I do love roundups :) and that pig hat is such a fav of mine, so sad it doesn't fit anymore! 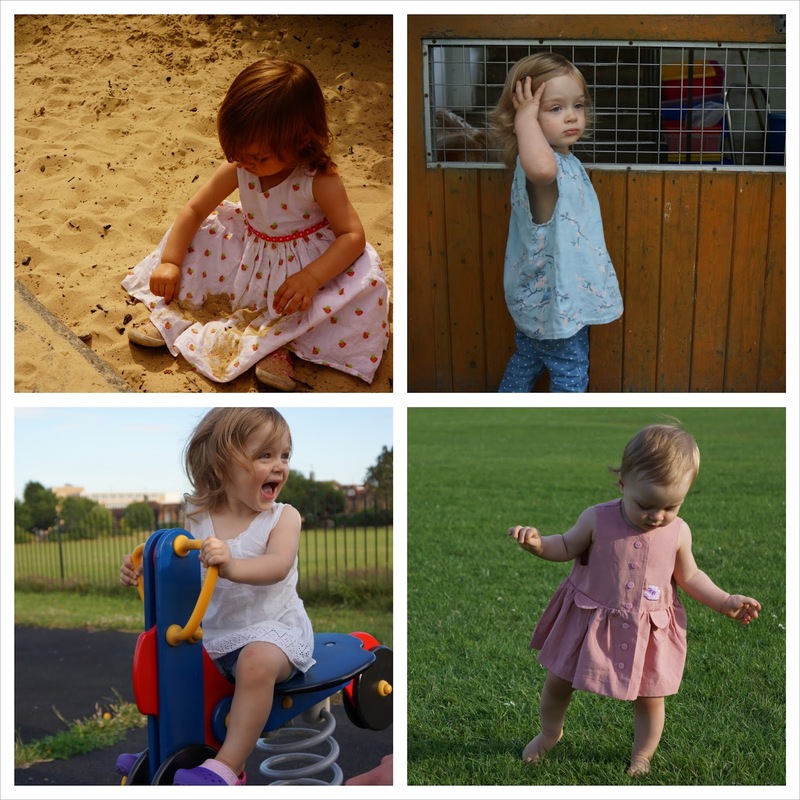 Thank you for your kind words :) it has been lovely joining in, this was probably the first linky I joined in and it has been great to read little fashion stories by so many others too. Thank you for being such a great host!